This episode of the world’s scariest people is about John Wayne Gacy Jr, also known as ‘The Killer Clown’. He managed to hide his acts from the authorities for a long time until he finally got arrested in 1978. Number 10 Who Was this Clown? Gacy tried to maintain the façade of a hard-working businessman, community leader and devoted family man. He was well-known for his sociability and would perform as a clown at various charity events or children’s parties. No one, including his family, had any idea of the monster that was hiding beneath his mild-mannered persona. Born on May 17, 1942, John Wayne Gacy Jr. was the second child of veteran John Stanley Gacy and Marie Elaine Robinson, a homemaker. Gacy was close to his mother and his two sisters but endured a difficult relationship with his father. As a child, Gacy was overweight and not athletic. Gacy never told his father about the incidents out of fear that his father would blame him. For a few months in 1962, Gacy worked as an attendant at Palm Mortuary, in Las Vegas, Nevada. He slept in a cot behind the room. The experience gave him a sense of shock that drove him to return to his family in Chicago. By 1967, Gacy was living in Waterloo, Iowa, with his wife and two children. His father-in-law had put him in charge of three KFC restaurants and he was making good money. He had finally earned his father’s approval, who apologized for the things he’d put him through, during his childhood and teenage years. When looking back at this time in his life, Gacy described it as ‘perfect’.His wife petitioned for divorce, requesting sole custody of the children, alimony payments as well as possession of their home and property. Gacy would never see his children or first wife again. However, Gacy didn’t go back because the teenager didn’t follow up on the complaint against him. With financial help from his mother, he bought a house in the Norwood Park Township area of Cook County. He lived at 8213 West Summerdale Avenue. He remarried a woman he’d briefly dated in high school. His second wife moved into his house along with her two young daughters. Gacy started his own construction company, called PDM Contractors, and the business enjoyed a steady growth. His first known one was 16-year-old Timothy McCoy, whom he’d picked up from a Chicago bus terminal. By Gacy’s account, the teenager had spent the night at his house. 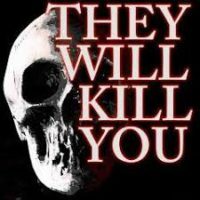 When he woke up the following morning, he saw McCoy standing in his bedroom doorway with a kitchen knife in his hand. It turns out that, unbeknownst to Gacy, McCoy had been preparing breakfast and had set the table for the both of them. The teenager absentmindedly was still holding the knife when he went to wake up Gacy. Gacy’s MO involved luring teenagers and young men to his home, where he plied them or simply gained their trust. Then it was time for what Gacy called his ‘handcuff trick’. He’d persuade them to put handcuffs on themselves, usually as part of a clowning routine. He’d usually stuff pieces of their own clothing into their mouths to muffle the screams. Professional clowns noted that the sharp edges that Gacy painted at the corners of his mouth were supposed to be rounded out, so as not to scare the children. 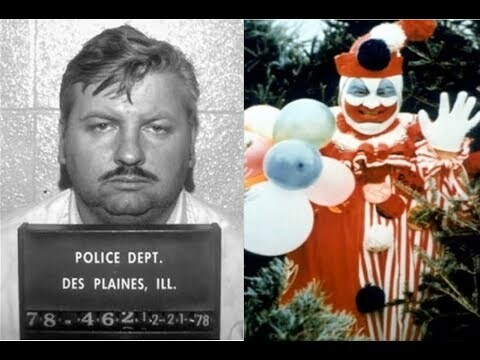 Gacy claimed that acting as a clown was a way for him to regress into childhood. In 1976, Gacy and his second wife mutually agreed to a divorce. She found something in their house and noticed Gacy returning late most nights and bringing teenage boys in the garage. She and her daughters moved out after the divorce was finalized. With the house now all to himself, Gacy entered what he described as his ‘cruising years’. In March 1978, Gacy lured 26-year-old Jeffrey Rignall into his car and chloroformed him. He would chloroform Rignall every time he regained consciousness. Gacy then dumped him in Lincoln Park, unconscious but alive. Rignall managed to remember Gacy’s distinctive black Oldsmobile. PDM employees also testified that Gacy had had them dig trenches under his crawl space. His laywers tried to present him as a man driven by impulses that he couldn’t control. It took less than two hours for the jury to find Gacy guilty. Many of his works were of clowns and some depicted himself as Pogo. Some of Gacy’s paintings were displayed at exhibitions while others were sold at auctions, with prices varying from $200 to $20,000 per individual piece. It later emerged that some of his paintings had been bought so that they could be destroyed. In the hours leading up to the procedure, which was carried out at Stateville Correctional Center in Crest Hill, a crowd of over 1,000 people gathered outside.